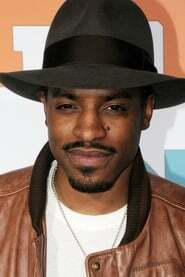 Better known by his stage name André 3000 (formerly known as Dre, no association with Dr. Dre) is an American rapper, singer-songwriter, multi-instrumentalist, record producer and actor, best known for being part of American hip-hop duo OutKast alongside fellow rapper Big Boi. As an actor, his role as Jimi Hendrix in Jimi All is by my Side (2013) got him an Independent Spirit Awards nomination for Best Lead Actor. He has made appearances in a number of TV series and films, including Families, The Shield, Be Cool, Revolver, Semi-Pro, Four Brothers.